Bunclody Golf and Fishing Club in Bunclody, Co. Wexford, approached AKGraphics with the challenging task of encompassing the beautiful grounds and clubhouse that exists at the club within a corporate logo that reflected high quality and versatility. Once AKGraphics had received an official tour of the amazing grounds and the building of the state-of-the-art clubhouse, we had to create a logo to do the venue justice. The logo also had to work across a variety of different media, such as the club stationery, official documents, folders, brochures and promotional items. The final graphic design solution was a deceptively simple, clean and elegant logo. The upper curve of the ‘B’ was a reminder of the swoop of a golf ball gliding towards the hole, signified by a small flag within the spine of that same ‘B’ and planted within the green of the lower curve. 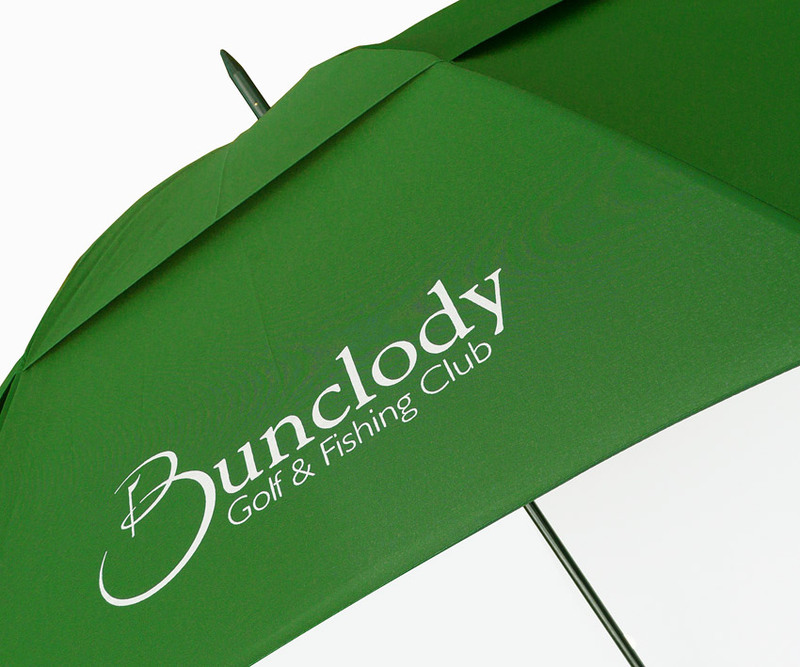 The tagline ‘Golf and Fishing Club’ is nestled under the word ‘Bunclody’. Final applications of the logo to documents in a silver foil added another touch of exclusivity that membership to this establishment implies. We were asked to develop a brand identity and marketing material for an exclusive private development of luxurious detached houses set within a prestigious championship golf course. This exclusive development consisted of 90, three, four and five bedroom homes designed by the prolific architects Beer and Burgess and were constructed and finished to the highest standards. Each of these spectacular properties offered an enticing layout with spacious living accommodation. There are 9 different house styles, each with its own distinctive character. Included in the layout of all the houses are balconies to enjoy the view of the fairways together with the surrounding parkland area. These homes required a high-end property brochure design to convey the correct first impression. 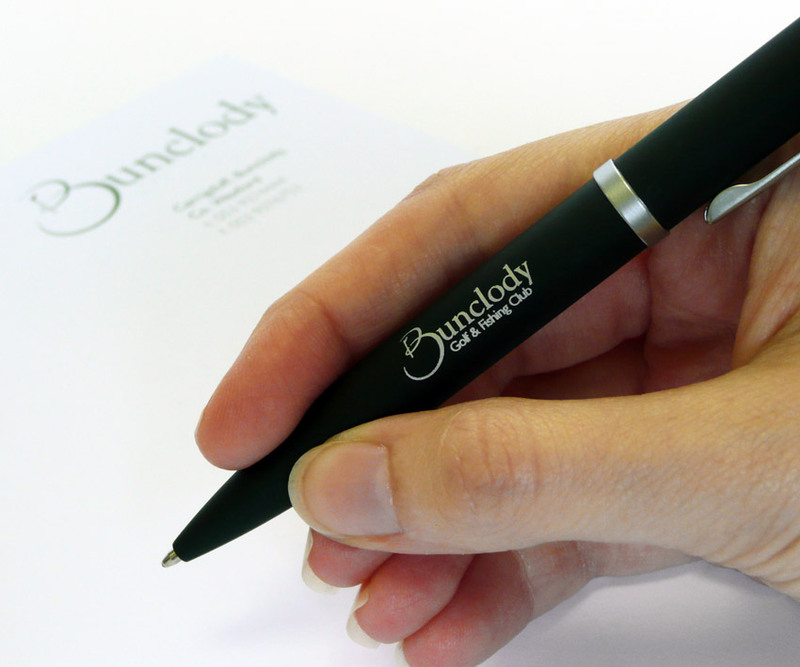 The large size gives a sense of luxury and the silver foil on the cover of the brochure adds an exclusive feel. 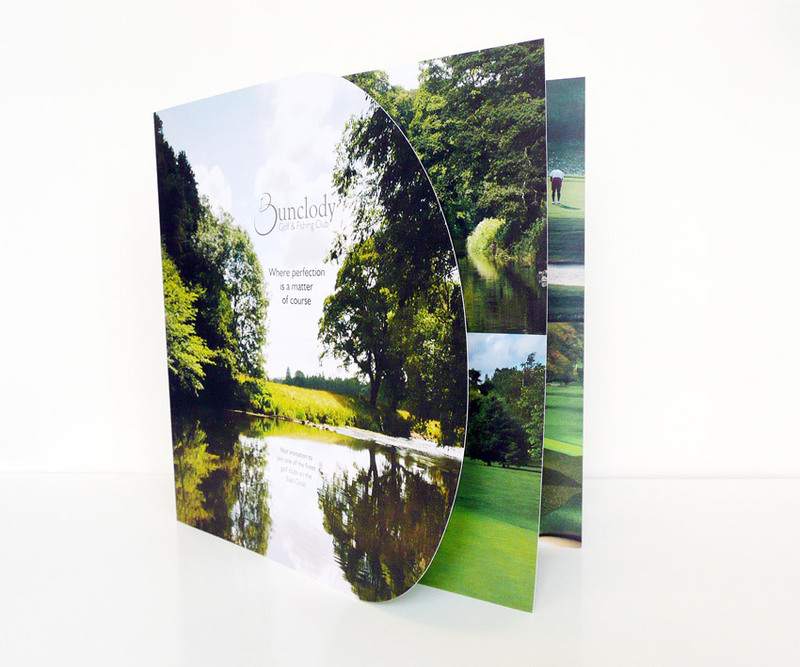 In our design we used a selection of images which would capture the lush countryside location. The design creates an overall look that highlights the attractive setting for the would be purchaser. An ideal location for those seeking a holiday home or family residence. Steeped in history, Bunclody remains one or the most beautiful towns in South-East Ireland. The property brochure design contains all of the essential information for a potential house buyer: selling agent/estate agent, developer, architect and solicitor details. Also key in the brochure are the house plans/floor plans, these are presented in a clear yet visually interesting way. Photo-realistic representations of the house exteriors are used to stimulate the reader’s imagination. In particular, for a property brochure design it is important that the reader can visualise themselves living in one of the exclusive homes so that they become emotionally invested. 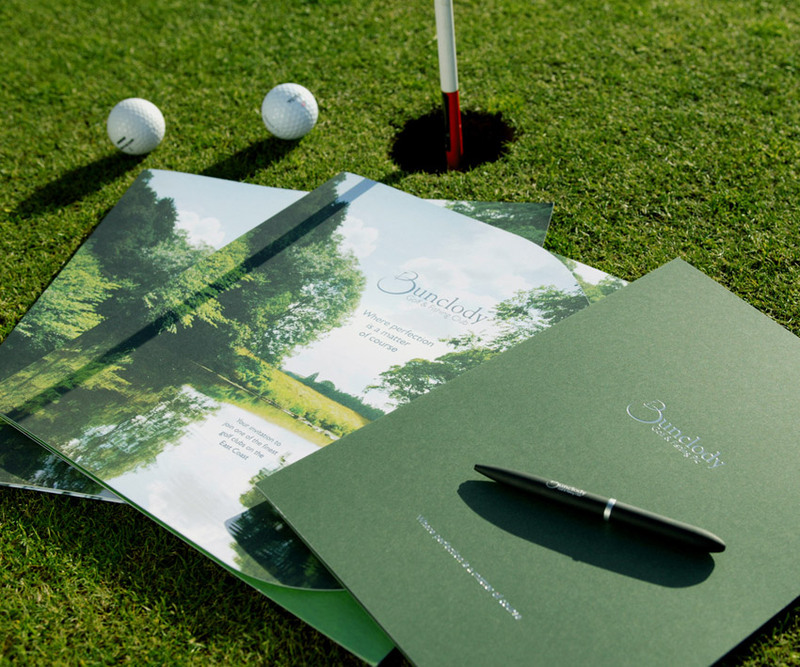 The fantastic setting of Bunclody’s Golf and Fishing Club deserved a special corporate identity that flowed into corporate stationery, brochures, corporate gifts, etc with unique finishes. Previous Post Richard Keenan & Co. Ltd.